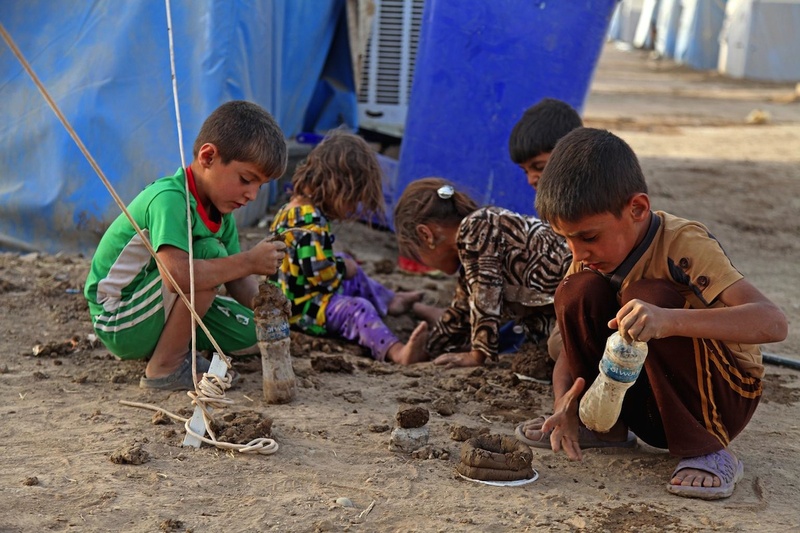 As armed groups sweep through Iraq and clash with government forces, an estimated 900,000 children have been displaced. 1. 900,000 children have been driven from their homes since January. The conflict across Iraq has caused an estimated 1.8 million Iraqis, half of them children, to flee from their homes across the country. The violence intensified in August, and thousands of Yazidi families from Sinjar province were driven from their homes in fear for their lives. Many survivors suffered from dehydration and shock, and gave horrifying accounts of killings and abuse perpetrated against children. 2. Children are scattering across the region. Families seeking safety are traveling from town to town, moving in with friends and relatives and pouring into displacement camps in both Iraq and Syria. Humanitarian workers are struggling to keep up with the influx at sites such as the Khazir camp, shown above and below. 3. 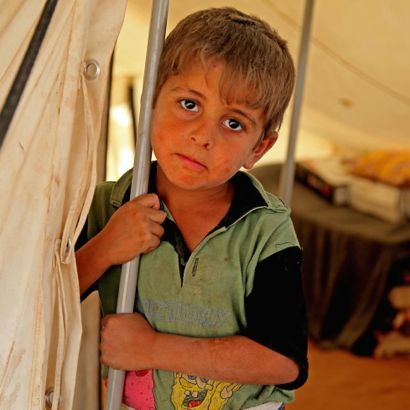 Iraq has already absorbed more than 214,000 Syrian refugees. The influx from the three-year-old conflict in neighboring Syria puts an additional burden on Iraq's hospitals and public services. 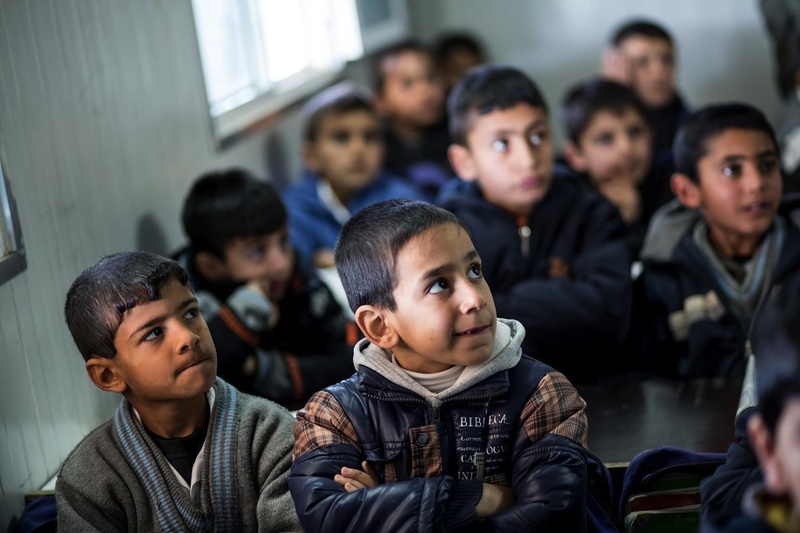 A school at the Domiz camp for Syrian refugees in northern Iraq is shown below. 4. Polio, eradicated in Iraq 14 years ago, has recently reappeared. Officials confirmed in March that polio has spread from Syria to Iraq. Emergency polio immunization campaigns in many cities have been disrupted by the recent violence. UNICEF and the World Health Organization recently worked to vaccinate 3.75 million children under 5 in response to the regional outbreak. 5. Waterborne disease is an urgent risk to children. Without clean water and adequate sanitation, the outbreak of disease is certain. 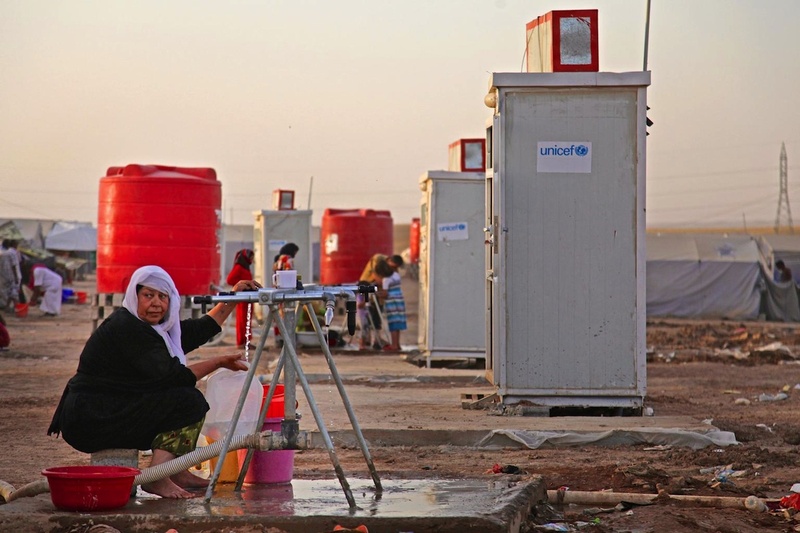 UNICEF is trucking in 400,000 liters of water every day to displaced families and has installed latrines at the Khazir camp, shown above. When the militant siege of Amerli was broken in early September, UNICEF dispatched a seven-truck convoy with 45 metric tons of aid including water, hygiene kits and oral rehydration kits. 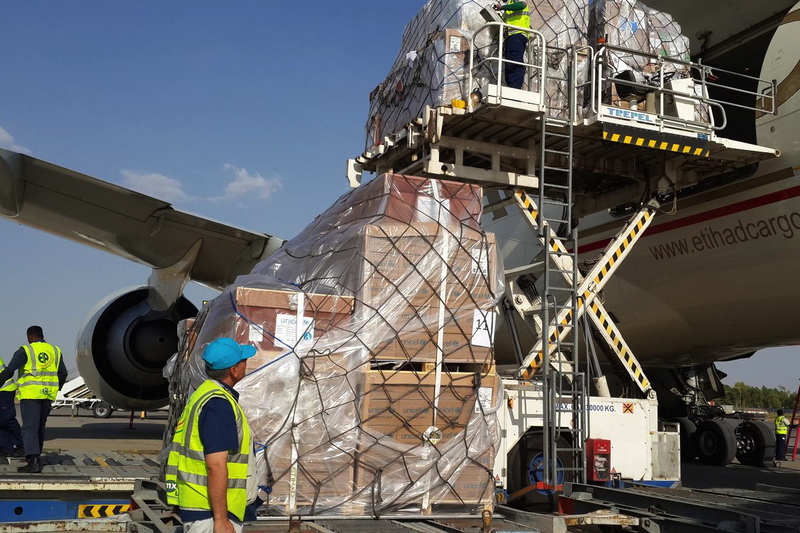 Hygiene kits are also among the 33 metric tons of emergency supplies that have already arrived in UNICEF humanitarian airlifts to Erbil, shown below. 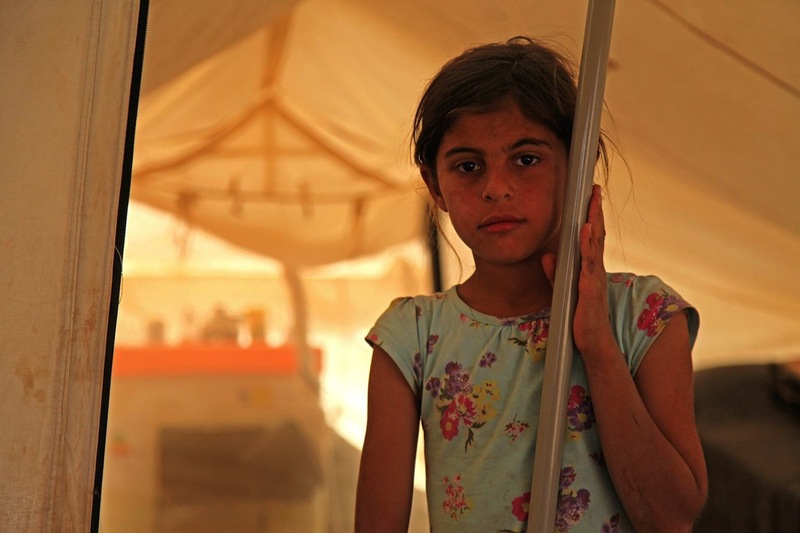 Inside the Nawrouz refugee camp in Syria, where families have fled from the violence in Iraq.